Are you having trouble picking the perfect cabinets for your kitchen? Kitchenland can help! We recognize that cabinets are more than just a place for storing plates, pots and pans. Cabinets are the design focal point for any kitchen and should complement the personality of every homeowner. That’s why Kitchenland has created this guide to help you create the kitchen of your dreams. 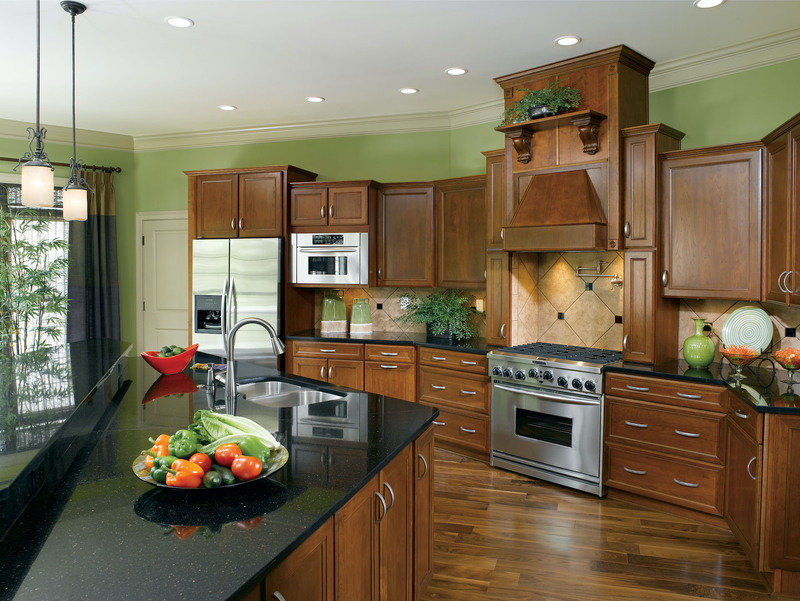 Your first step in choosing the right kitchen cabinets is choosing the right cabinet dealership. Be sure you look to industry experts recognized for offering high quality cabinetry and employing friendly, experienced staff committed to making homeowners happy…not just making a sale! Kitchen Cabinet Manufacturers Association (KCMA) Certification means cabinets have undergone a battery of tests designed to simulate years of typical household use. The results are measured against industry standards established by the American National Standards Institute (ANSI). The tests are performed by an independent, third-party, laboratory to ensure an unbiased evaluation of the cabinet’s quality, durability and functionality over time. When looking for kitchen cabinets, make sure you look for the blue and white KCMA seal. Make the most of your cabinet buying experience by knowing answers to these 5 questions before stepping foot on the showroom floor. This will help your design consultant guide you on the right path of picking the perfect cabinets for your home. Knowing what you don’t like about your current kitchen cabinets may be the easiest question to answer. Still, take some time to think about the challenges you face in areas such as storage, functionality and overall appearance. If like many homeowners, you may feel there’s no such thing as too much storage space. Don’t be so sure. Closely evaulate your kitchen space to determine how much is really enough. Allow enough storage area for the essentials (plus a little extra for good measure) and free up valuable space for food preparation, cooking and entertaining. Or possibly a better question would be, “How much do I want to spend on kitchen cabinets?” If this is your “forever home,” then you may want set your sights on higher-end kitchen cabinetry. Short-term homeowners can still enjoy high quality cabinetry at a fraction of the cost, so be sure to ask your design consultant for more information on these models. The existing style and décor of your home plays a major role in your cabinet buying decision. How much of a role rests upon your interests and personality. For many, the kitchen serves as a focal point to deciding the overall style of a home. If you’re looking to make a change, then the kitchen is a perfect place to start. If you’re looking to “Go Green” without sacrificing beauty, then you’ll want to consider cabinets made of more environmentally-friendly materials. Bamboo, wheat board and reclaimed wood are a few examples. Check out Aristokraft’s Design Your Room: A Green Guide to learn more about combining the environmental with the exquisite!